Sony has candidly spoke about its experience in retro-fitting its back catalogue of PS3 games and admits that it is hard work. Speaking to Official PlayStation magazine, senior development manager at Sony, Simon Benson, revealed that it was making some older PS3 games 3D but the process doesn't fit all titles. "I'm sure we will [retrofit more games with 3D], as adding 3D to a game can make it a whole new experience," Benson explained. "Retrofitting 3D is actually harder than building 3D into a game from the outset. One of the big issues is that all of the game assets were designed to work with only one HD output. Being able to render them twice to make a 3D output can be a challenge." He did note, though, that while many old-school titles will be re-done in 3D there wasn't really "a one-size fits all" solution. The first batch of 3D ready games will arrive 10 June, with titles including WipEout HD and Super Stardust HD. 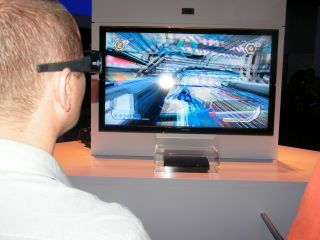 Sony revealed recently that the first 3D firmware update for the PS3 is for games only - a movie one will be coming at a later date.